Alpha Energy Solutions provides HVAC Boiler and Chiller parts, repair, service and rental to commercial and industrial customers as well as Video Management, Integrated Systems and Visitor Management services. Our goal is to help create and maintain healthy, productive and efficient working and living environments so our customers receive the maximum benefit from their facilities. With more than 200 service personnel, Alpha Energy Solutions is well equipped to handle all repair and maintenance challenges. 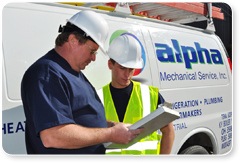 As the region’s largest mechanical service provider, Alpha Energy Solutions offers the convenience of one company dedicated to delivering exceptional service and value to our customers every day. The Alpha Energy Solutions Commercial and Industrial HVAC Parts Division provides 24/7 HVAC parts, as well as repair, maintenance and replacement services. Buy with confidence from Alpha Energy’s professional HVAC technicians who know how to help you find the right parts. Find quality replacement parts for furnaces, heat pumps and air conditioning systems. We stock many parts that commercial and industrial clients commonly need. If we don’t have it on hand, we can easily find it! The Alpha Energy Solutions Commercial and Industrial BOILER REPAIR Division provides 24/7 Boiler Repair, as well as maintenance and replacement services. 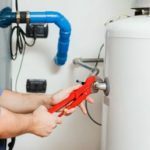 Commercial and industrial boiler repair, boiler maintenance, boiler installation and boiler service are primary specialties of Alpha Energy Solutions located in Louisville, Kentucky. Alpha Energy Solutions is also able to provide boiler rental services. The Alpha Energy Solutions Commercial and Industrial BOILER SERVICE Division provides 24/7 Boiler Service, Boiler Equipment Rentals as well as repair, maintenance and replacement services. Buy with confidence from Alpha Energy’s professional Boiler Repair technicians who know how to help you find the right parts. Find quality replacement parts for furnaces, heat pumps and other systems. We stock many parts that commercial and industrial clients commonly need. If we don’t have it on hand, we can easily find it! The Alpha Energy Solutions Commercial and Industrial CHILLER RENTAL Division provides 24/7 Chiller Rentals, as well as repair, maintenance and replacement services. 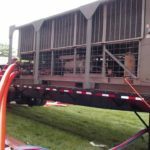 The Chiller Rental Division is capable of handling all your chiller rentals, maintenance, installation and chiller service needs. With over 80 years of combined field experience, our highly skilled technicians are well prepared for any chiller repair or chiller service challenge 24 hours a day, every day. Buy with confidence from Alpha Energy’s professional Chiller Rental technicians who know how to help you find the right parts. Find quality replacement parts for furnaces, heat pumps and air conditioning systems. We stock many chiller rentals parts that commercial and industrial clients commonly need. If we don’t have it on hand, we can easily find it! Today’s integrated systems, wireless, and cloud capabilities combine for a highly-efficient cost footprint, upfront and ongoing. The familiar, intuitive user interface reduces personnel training costs while off-the-shelf devices and universal protocols simplify support and maintenance. Get the right information when, where and how you want it. Intuitive interface that learns your trends. One-click lockdown, video management and mobile applications put you in control of visitor management. During the hot summer months the need for air conditioning service is not a luxury – it is a necessity. 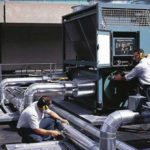 If your office or plant air conditioning unit is down – even for an hour it can dramatically reduce your productivity.The Alpha Energy Solutions Commercial and Industrial Air Conditioning Rentals Division provides 24/7 Air Conditioning Rentals as well as HVAC parts, HVAC Equipment Rentals and maintenance and replacement services. 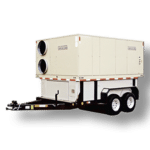 The Alpha Energy Solutions Commercial and Industrial MOBILE COOLING Division provides 24/7 Mobile Cooling, HVAC Equipment Rentals as well as repair, maintenance and replacement services. Buy with confidence from Alpha Energy’s professional Mobile Cooling technicians who know how to help you cool temporary areas . Find quality replacement parts for air conditioning systems. We stock many parts that commercial and industrial clients commonly need. If we don’t have it on hand, we can easily find it! The Alpha Energy Solutions Commercial and Industrial CHILLER REPAIR Division provides 24/7 Chiller Repair Services as well as maintenance and replacement services. Buy with confidence from Alpha Energy’s professional Chiller Repair technicians who know how to help repair chillers. 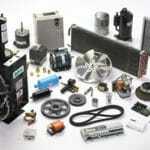 Find quality replacement parts for chillers, furnaces, heat pumps and air conditioning systems. We stock many parts that commercial and industrial clients commonly need. If we don’t have it on hand, we can easily find it! During the summer the need for HVAC services is an absolute necessity. If your office HVAC unit is down – even for an hour it can dramatically reduce your productivity. That is why Alpha Energy Services provides HVAC EQUIPMENT RENTAL services. Buy with confidence from Alpha Energy’s professional HVAC technicians who know how to help you find the right rentals. Find quality replacement parts for furnaces, heat pumps and HVAC systems. We stock many parts that commercial and industrial clients commonly need. If we don’t have it on hand, we can easily find it! A video management system, also known as video management software or a video management server, is a necessary component of your security camera systems that in general collects video from cameras while recording that video to a storage device. It provides an interface to both view the live video, and access your recorded video. Buy with confidence from Alpha Energy’s professional Video Management technicians who know how to help you find the right equipment. Find quality replacement parts and services. If we don’t have it on hand, we can easily find it! Alpha Energy can partner with you to design and implement a scalable integrated system that addresses all of your security challenges, while gaining efficiencies across your security systems and teams by standardizing platforms and implementing event-driving system automation. Alpha Energy’s powerful integrated systems help businesses increase security effectiveness, reduce security risk, and eliminate the hidden costs associated with operating non integrated systems. Buy with confidence from Alpha Energy’s professional integrated system professionals who know how to help you find the right equipment. Alpha Energy is pleased to announce the release of our new visitor management system that speeds the flow of visitors while improving your customer service. Our Video Management enhances a visitor’s experience while helping organizations enforce security policies and reduce costs. Buy with confidence from Alpha Energy’s professional Visitor Management technicians who know how to help you find the right system. Find quality replacement parts as well as systems. We stock many parts that commercial and industrial clients commonly need. If we don’t have it on hand, we can easily find it! Providing Visitor Management, Integrated Systems, Video Management, HVAC Parts, Boiler Repair, Boiler Service, Chiller Rentals, Air Conditioning Rentals, Mobile Cooling, Chiller Repair, HVAC Equipment Rental as well as Chiller Rental for Commercial and industrial clients. Alpha Energy Solutions provides HVAC Boiler and Chiller parts, repair, service and rental to commercial and industrial customers. Our goal is to help create and maintain healthy, productive and efficient working and living environments so our customers receive the maximum benefit from their facilities. Building Automation/Controls Our Building Automation Department has over 150 years combined experience. Its primary focus is on retrofit solutions, integrations and service of existing building automation systems. Electrical ServiceThe Alpha Energy Solutions team of highly skilled electricians has years of electrical service experience troubleshooting every kind of electrical problem and is on-call 24/7 to meet your commercial or industrial electrical service needs. Energy Solutions The largest controllable expense for any building manager is the cost of the energy used to heat, cool, illuminate and operate a facility. When putting together a plan to reduce and control those costs, there’s no substitute for expertise and experience. 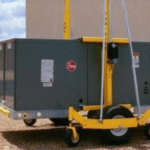 Equipment Rental Alpha Energy Solutions provides total rental solutions including air conditioning rentals and application engineering, delivery, installation, operation and maintenance. 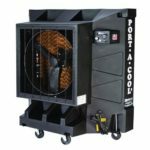 We specialize in Chiller rentals and air conditioning rentals but have a full range of products and services, we can meet all of your remote, temporary, backup, cooling and peak shaving needs. Piping Service Alpha Energy Solutions provides piping services to all types of commercial and industrial businesses including factories, apartment buildings, restaurants, office buildings, shopping malls, and other small and large retail facilities. Plumbing Service We have the knowledge, experience and resources to provide a superior plumbing service to businesses and industrial facilities 24/7. We offer a comprehensive range of commercial and industrial plumbing services and preventative maintenance programs tailored to suit each customer’s needs. Refrigeration Service Our highly trained refrigeration technicians are available 24/7 every day to meet your refrigeration service needs. Our team of certified technicians provides maintenance, repair and installation of a wide range of commercial and industrial refrigeration systems. Security Systems Integration Through our simplified user interface, open protocol support, mobile device options, and Web- and cloud-based architectures deliver new capabilities without complex learning curves. Easy. Intuitive. Effective. Sheet Metal Service The Alpha Energy Solutions Sheet Metal division provides superior quality sheet metal repair, fabrication and installation to businesses and industrial facilities throughout Kentucky, West Virginia, Indiana, Illinois, Ohio and Tennessee. Visitor Management The Alpha Energy Solutions visitor management division provides tracking of the usage of a public building or site. By gathering increasing amounts of information, a Visitor Management System can record the usage of the facilities by specific visitors and provide documentation of visitor’s whereabouts.